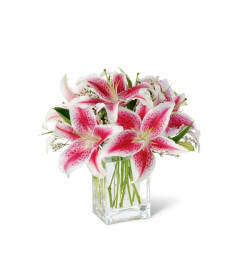 The FTD® Faith & Understanding™ Standing Spray will fill the room with color and elegance at their final tribute. 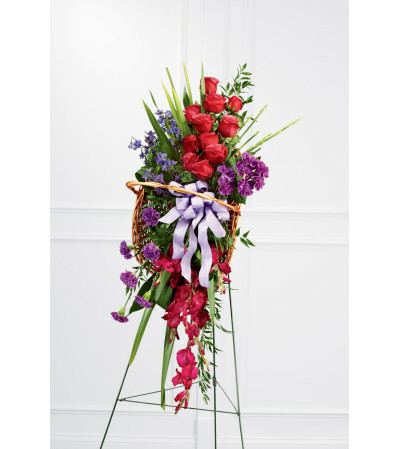 Fuchsia roses, magenta gladiolus, blue delphinium, and purple carnations are accented with a variety of lush greens and a lavender wired taffeta ribbon to create a memorable display that commemorates a life that brought inspiration and happiness to others. 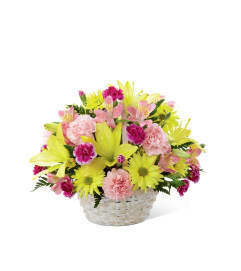 The spray incorporates two smaller breakaway bouquets that can provide continuing solace to the bereaved and be saved as keepsakes. Presented on a wire easel.